The thought seems heretical: how can a protagonist not be a Beowulf-esque epic hero? I'm exaggerating. But still, you'll have to admit that an awful lot of fantasy protagonists are still rather martially orientated. So, let's buck this already bucking trend: for here are my picks for the heroes who don't fit this mould. As always, subjective, subjective, subjective! Caius Crispus is - as I've aready suggested - a mosaicist. (Oh, and thanks to Cursed Armada in the comments for reminding me!) I've always thought that artists and non-magical musicians are underused in fantasy, and this just proves my point: Kay writes Crispin's character wonderfully. A mosaicist seeking a work he'll be remembered for, Crispin is sent to Sarantium on both an artistic and profoundly political mission. Caught up in intrigue and tragedy that threatens the destruction of his art... Well, let's just say it makes a beautiful story - especially when the protagonist can't just hack his adversaries to pieces with his sword! 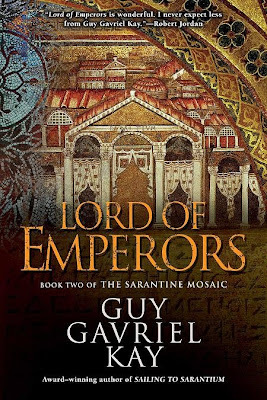 The novels in question are Sailing to Sarantium and Lord of Emperors, both by Guy Gavriel Kay. It's not often we get a villain protagonist. And it's rarer for the novel in question to be a comic fantasy. 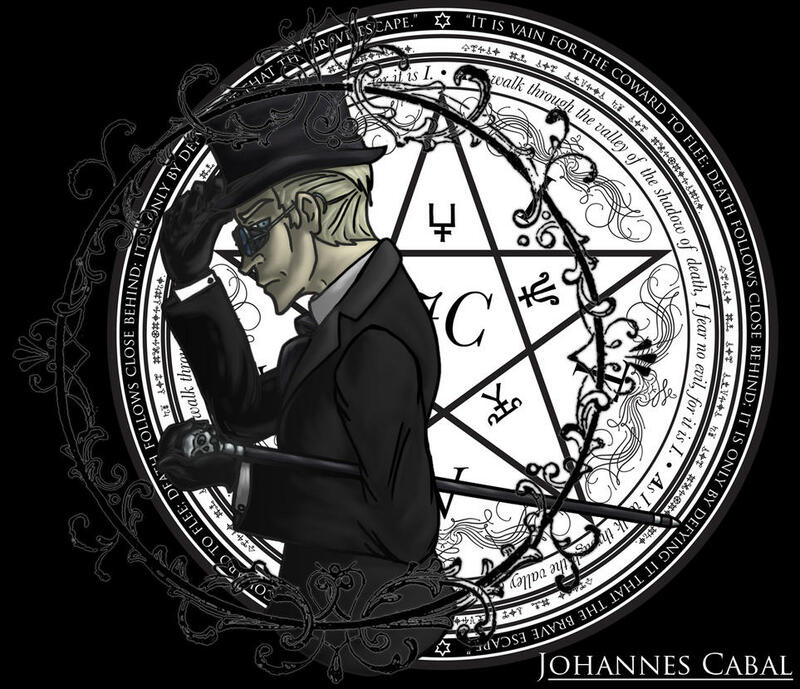 Johannes Cabal, the cold-blooded champion of the scientific method from Jonathan L. Howard's series of the same name, is one such: a necromancer who, having sold his soul to Satan, wants it back. He's half-protagonist, half-villain (well, perhaps more than half): and he's hilarious to read. Witty, utterly cold blooded (or sang froid - as a side character memorably dresses up the expression), and unfailingly pragmatic, his less violent but far more interesting 'solutions' will make you forget about the 'Chosen Ones' blowing their enemies away with firestorms. (Tedious or what? Cabal is far more fun to read). Bob Howard, hero of Charles Stross' Laundry series, is a programmer and occult agent: in a world where the two professions are practically identical. After all, Bob was recruited for the secret agency in question when he nearly summoned Nyarlathotep to wipe out Birmingham... With a renderer. When he signs up for active service, Bob is a crazily improvising mix between agent and magical expert - which mainly involves computers. And quips about computers. And running Neverwinter Nights servers to trap Lovecraft- you know what, just read it. I'm going to do a full review soon, but explaining anything close to the insane mix of tropes The Laundry series is on would take days! These are my hasily conceived picks - so what are yours? Comment and tell me below! Well, having a mosaicist as a main character does sound far-fetched. I have a mental picture of his work in danger and he gonig berseker - which I know is not what happens, but is just so damn funnny. Then again, this is Kay and he can pull it off. The Laundry Archives have to be the most hilarious thing ever. I'm currently listening to the audiobook - narrated by Gideon Emery, voice actor for Fenris in Dragon Age 2 by the way - and I have burst out laughing at the worst possible moments. I'll be looking forward to your review! Well, I seem to have been sidetracked by myself. Haha, it is a funny image... And he -does- become infuriated on occasion. :P Not so much of the beserker, though. I rarely listen to audiobooks, but that sounds great! Have you read the second (Jennifer Morgue) yet? The whole Bond geas made me chuckle (or at least cackle), and I love Charles Stross' conception of occult programmer as secret agent. Add the bureaucracy... And Angleton... And it's a winner. I just finished Lord of Emperors today... I gotta say i absolutely adored this series. I thought that Kay did a great job of showing an audience characters that were very interesting, and original! The minor characters were awesome as well. I personally love the idea of a Chef as a main character. (which Kay did brilliantly in this book) I recommend checking out some K.J. Parker, he/she has some interesting character choices and they aren't really cliched like most "mainstream" heroes. Just ordered "A song for Arbonne" by Kay, and I'm very excited! siêu thị chăm cung ứng my pham han quoc mang những sản phất chồng lượng nooit tiếng như kem tri tan nhan còn đặt chúng tui phân phối cùng với các sản phẩm như kem tri tham sở hữu tinh chồng thảo dược 100% đặt chiết xuất vào từ thiên nhiên. ngoài ra thời sự kết hợp của các dòng kem này mang kem chong nang cũng là 1 điểm nhưng chị em buộc phải coi trọng luu ý mang rõ chồng đực biệt lắm trong những mẫu kem tri seo cũng phanh tàng trữ hạp ra kem duong am làm cho làn đa cụm từ bạn trở thành xinh già hơn. bên cạnh đó trường hợp bạn biết phối hợp dunggf sở hữu những laoi Kem korses hay kem kem hong sam han quoc thì chất cây sẽ rất tuyệt trần. We offer housing loan, MRTA, travel insurance (Chartis insurance), motor insurance (Auto insurance), life insurance Malaysia, savings plan, retirement planning, investment planning, personal accident plan, health insurance, education plan, medical coverage and general insurance. We are committed in providing financial planning services which includes consultation on budgeting, how to save money, tax planning and manage proper cash flow.